Rane stock has become something of a rarity over the past few months following the acquisition of the brand by inMusic. It would also be fair to say that until the announcement of Denon Prime many Rane customers were concerned what the future would hold for inMusic's latest premium brand. While the quality of Denon Prime has reassured many Rane advocates that future product will continue the Rane tradition of uncompromising quality there's very little info from inMusic as to which lines will continue when stock begins to ship again in the latter part of 2017. Due to the high call volumes that we're receiving we decided to round up the obvious alternatives to Rane kit that are currently available. The Rane SL boxes have been the audio interface for Serato, first with Scratch Live and then Serato DJ. There were no alternatives available until around 2 years ago Denon entered the interface market with the highly portable DS-1. While a perfectly capable unit the DS-1 lacks the connectivity of the SL2, SL3 and SL4 and as such has left many seeking alternatives for their interface needs. We're noticing an increase in customers choosing Traktor A6 and A10 interfaces over recent months, while this choice forces users to move software platform there is at least support from NI in the form of updated drivers meaning that you can upgrade your OS safe in the knowledge that your interface will be compatible. 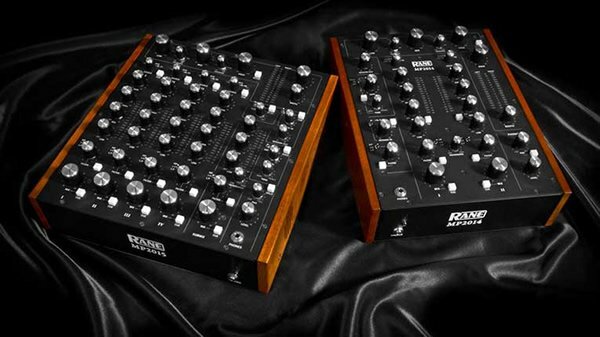 The MP range from Rane are unique - rotary mixers are of course nothing new but the combination of this style with Serato compatibility is a one off. As such alternatives will not offer the same mixing experience as the pots are replaced with faders but there are a number of options that will deliver Serato compatibility such as the Allen & Heath Xone 43C or the Pioneer DJM-900NXS2. Reloop have recently joined the list of manufacturers offering a Serato certified 12-inch format mixer with the RMX-90 DVS. Thankfully alternatives to the Rane Sixty Two and TTM-57 are more readily available, the obvious choice is the Pioneer DJM-S9, which builds upon the DJM-909 platform and adds stacks of control for Serato including trigger pads and tactile control of both it's own on-board FX as well as those provided by Serato. As with the audio interfaces, we're finding a number of Serato users are now opting for Traktor as an alternative to the Rane DVS platform and the Traktor Kontrol Z2 does present a viable alternative at a highly attractive price point. To help you compare the Traktor Z2 and the DJM-S9 to the Rane scratch mixers we've put together this table which covers most aspects of the mixers from latency through to inputs and outputs.